THIS AGREEMENT GOVERNS YOUR USE OF THE THERON CONSULTANTS PVT LTD WEB SITE AND THE CONTENT, INFORMATION AND SERVICES PROVIDED THROUGH THE WEB SITE. IT EXEMPTS THERON CONSULTANTS PVT LTD. AND OTHER PERSONS FROM LIABILITY OR LIMITS THEIR LIABILITY AND CONTAINS OTHER IMPORTANT PROVISIONS THAT YOU SHOULD READ. EACH TIME YOU USE THE WEB SITE, THIS AGREEMENT AS IT THEN READS WILL GOVERN YOUR USE. This is an Agreement between you and all persons you represent (and for purposes of this Agreement, "person" includes natural persons and any type of incorporated or unincorporated entity) and Theron Consultants Pvt Ltd, and governs your use of the Theron Consultants Pvt Ltd web site and the content, information and services provided through the Theron Consultants Pvt Ltd web site (collectively the "Web Site"). This Agreement also provides benefits to Theron Consultants Pvt Ltd's affiliates, service providers, suppliers and sub-contractors, including various Theron Consultants Pvt Ltd businesses around the world (collectively "Affiliates and Providers"). This Agreement is in addition to and supplements any written agreements that you or any persons you represent have with Theron Consultants Pvt Ltd or Affiliates and Providers (now or in the future) concerning your dealings with Theron Consultants Pvt Ltd or Affiliates and Providers generally. This Agreement and all other agreements that you or any persons you represent have with Theron Consultants Pvt Ltd or Affiliates and Providers (now or in the future) together constitute the entire agreement regarding your access to and use of the Web Site, and supersede all previous agreements (written, oral or otherwise) regarding your access to and use of the Web Site. In the event of any inconsistency or conflict between the provisions of this Agreement and the provisions of any other agreement that you or any persons you represent have with Theron Consultants Pvt Ltd or Affiliates and Providers (now or in the future), the provisions of this Agreement shall govern regarding your access to and use of the Web Site. Theron Consultants Pvt Ltd may, in its discretion, change, supplement or amend this Agreement as it relates to your future use of the Web Site from time to time, for any reason, and without any prior notice or liability to you or any other person. You may not change, supplement, or amend this Agreement in any manner. The Web Site may be accessed and used only by individuals who have: (a) reached the age of majority in their jurisdiction of residence and can form legally binding contracts under applicable law; and (b) accepted this Agreement. Persons using the Web Site must comply with all applicable laws. Theron Consultants Pvt Ltd may in its discretion refuse permission to access and use the Web Site. All communications you submit through the Web Site or email must be true, accurate and complete. Theron Consultants Pvt Ltd and Affiliates and Providers will rely upon the truth, accuracy and completeness of the communications you submit through the Web Site. 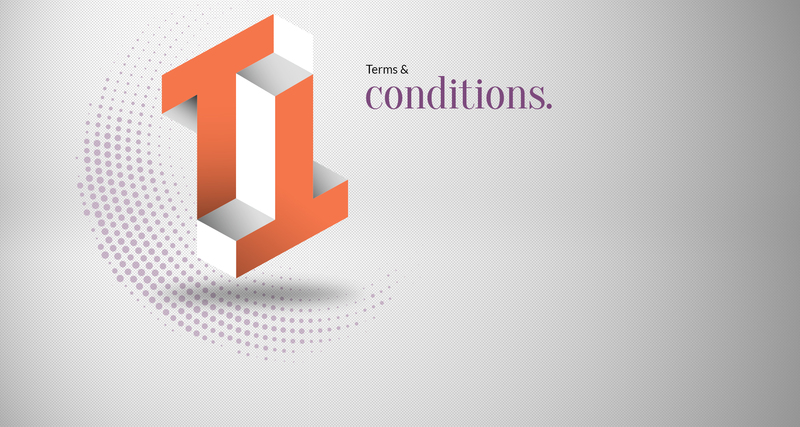 If you submit any incorrect or incomplete communications, or if any communications are damaged or distorted during transmission to Theron Consultants Pvt Ltd, you and all persons you represent will be liable for any loss, damage or additional costs that you, Theron Consultants Pvt Ltd, Affiliates and Providers, or other persons may incur as a result. You authorize Theron Consultants Pvt Ltd and Affiliates and Providers to: (a) accept communications that they receive from you by means of the Web Site or email as if those communications had been given directly by you in writing and signed by you; (b) disclose your communications to any Affiliates and Providers, and Theron Consultants Pvt Ltd workers by means of the Web Site, email or other communications; and (c) respond to your communications by means of Internet communications, email or other communications. Communications you send to Theron Consultants Pvt Ltd by means of the Web Site or email are not effective unless and until they are processed by the responsible Theron Consultants Pvt Ltd representative. Theron Consultants Pvt Ltd may refuse to process any communications sent to Theron Consultants Pvt Ltd by means of the Web Site or email, or may reverse the processing of any communications sent to Theron Consultants Pvt Ltd by means of the Web Site or email, at any time in Theron Consultants Pvt Ltd's discretion, and without any notice or liability to you or any other person, including, without limitation, if: (a) Theron Consultants Pvt Ltd cannot process the communications; (b) the communications violate any provision in this Agreement or any other agreement that you or any other person may have with Theron Consultants Pvt Ltd; (c) Theron Consultants Pvt Ltd considers that the communications conflict with any other instructions or agreements with you or any person you represent; or (d) there is an operational failure or malfunction in connection with the transmission of the communications. Theron Consultants Pvt Ltd endeavors to provide accurate information through the Web Site. Nevertheless, errors may occur. Accordingly, Theron Consultants Pvt Ltd reserves the right to change other information available through the Web Site at any time and from time to time without any notice or liability to you or any other person. The Web Site is not intended to be a comprehensive or detailed statement concerning the matters addressed; compensation, investment, tax, banking, accounting, legal, or other professional or expert advice or recommendations; or an offer or recommendation to sell or buy any stock, bond or other financial instrument or any product or service. You should seek appropriate, qualified professional advice and recommendations before acting or omitting to act based upon any information provided on or though the Web Site. Theron Consultants Pvt Ltd and Affiliates and Providers do not accept any liability for your use of the Web Site. For that reason, the following provisions apply to your use of the Web Site. YOUR USE OF THE WEB SITE IS AT YOUR OWN RISK. THE WEB SITE IS PROVIDED ON AN "AS IS" AND "AS AVAILABLE" BASIS, AND WITHOUT ANY REPRESENTATIONS, WARRANTIES OR CONDITIONS OF ANY KIND, WHETHER EXPRESS OR IMPLIED, AND INCLUDING WITHOUT LIMITATION REPRESENTATIONS, WARRANTIES OR CONDITIONS OF TITLE, NON-INFRINGEMENT, MERCHANTABILITY, FITNESS FOR A PARTICULAR PURPOSE, PERFORMANCE, DURABILITY, AVAILABILITY, TIMELINESS, ACCURACY OR COMPLETENESS, ALL OF WHICH ARE HEREBY DISCLAIMED BY THERON CONSULTANTS PVT LTD AND THE AFFILIATES AND PROVIDERS TO THE FULLEST EXTENT PERMITTED BY LAW. THERE WILL NOT BE ANY REPRESENTATIONS, WARRANTIES OR CONDITIONS CREATED BY A COURSE OF DEALING, COURSE OF PERFORMANCE OR TRADE USAGE. YOU ARE SOLELY RESPONSIBLE FOR OBTAINING, CONFIGURING AND MAINTAINING ALL COMPUTER HARDWARE, SOFTWARE, TELEPHONE SERVICES, AND OTHER EQUIPMENT AND SERVICES NECESSARY FOR YOU TO USE THE WEB SITE. THE INTERNET IS NOT A SECURE MEDIUM, MAY BE SUBJECT TO INTERRUPTION AND DISRUPTION, AND INADVERTENT OR DELIBERATE BREACHES OF SECURITY AND PRIVACY. THE OPERATION OF THE WEB SITE MAY BE AFFECTED BY NUMEROUS FACTORS BEYOND THERON CONSULTANTS PVT LTD'S CONTROL. THE OPERATION OF THE WEB SITE MAY NOT BE CONTINUOUS OR UNINTERRUPTED, SECURE OR PRIVATE. THERON CONSULTANTS PVT LTD AND THE AFFILIATES AND PROVIDERS WILL NOT BE LIABLE TO YOU OR ANY OTHER PERSON FOR ANY LOSS OR DAMAGES SUFFERED BY YOU OR ANY OTHER PERSON AS A RESULT OF ANY FAILURE OR REFUSAL BY THERON CONSULTANTS PVT LTD TO GIVE EFFECT TO, OR FOR ANY FAILURE OR DELAY BY THERON CONSULTANTS PVT LTD IN RECEIVING, ACCESSING, PROCESSING OR ACCEPTING, ANY COMMUNICATION SENT TO THERON CONSULTANTS PVT LTD BY MEANS OF THE WEB SITE OR EMAIL, OR FOR ANY LOSS OR DAMAGES SUFFERED AS A RESULT OF THE OPERATIONAL FAILURE, MALFUNCTION, INTERRUPTION, CHANGE, AMENDMENT OR WITHDRAWAL OF THE WEB SITE OR EMAIL SERVICES. WITHOUT LIMITING THE GENERALITY OF THE FOREGOING, THERON CONSULTANTS PVT LTD AND THE AFFILIATES AND PROVIDERS MAKE NO REPRESENTATION, WARRANTY OR CONDITION THAT: (A) THE WEB SITE WILL BE COMPATIBLE WITH YOUR COMPUTER AND RELATED EQUIPMENT AND SOFTWARE; (B) THE WEB SITE WILL BE AVAILABLE OR WILL FUNCTION WITHOUT INTERRUPTION OR WILL BE FREE OF ERRORS OR THAT ANY ERRORS WILL BE CORRECTED; (C) THE WEB SITE WILL MEET YOUR REQUIREMENTS; (D) THE INFORMATION CONTAINED IN THE WEB SITE OR DERIVED FROM THE WEB SITE WILL BE ACCURATE, COMPLETE, SEQUENTIAL, OR TIMELY; (E) CERTAIN OR ANY RESULTS MAY BE OBTAINED THROUGH THE USE OF THE WEB SITE; (F) THE USE OF THE WEB SITE, INCLUDING THE BROWSING AND DOWNLOADING OF ANY INFORMATION, WILL BE FREE OF VIRUSES, TROJAN HORSES, WORMS OR OTHER DESTRUCTIVE OR DISRUPTIVE COMPONENTS; OR (G) THE USE OF THE WEB SITE WILL NOT INFRINGE THE RIGHTS (INCLUDING INTELLECTUAL PROPERTY RIGHTS) OF ANY PERSON; AND THERON CONSULTANTS PVT LTD AND THE AFFILIATES AND PROVIDERS DISCLAIM ANY AND ALL LIABILITY REGARDING SUCH MATTERS TO THE FULLEST EXTENT PERMITTED BY LAW. THERON CONSULTANTS PVT LTD AND THE AFFILIATES AND PROVIDERS WILL NOT UNDER ANY CIRCUMSTANCES BE LIABLE TO YOU OR ANY OTHER PERSON FOR ANY LOSS OF USE, LOSS OF PRODUCTION, LOSS OF INCOME OR PROFITS (ANTICIPATED OR OTHERWISE), LOSS OF MARKETS, ECONOMIC LOSS, SPECIAL, INCIDENTAL, INDIRECT OR CONSEQUENTIAL LOSS OR DAMAGE OR EXEMPLARY OR PUNITIVE DAMAGES, WHETHER IN CONTRACT, TORT, NEGLIGENCE, STRICT LIABILITY, OR UNDER ANY OTHER THEORY OF LAW OR EQUITY, ARISING FROM, CONNECTED WITH, OR RELATING TO THE USE OF THE WEB SITE BY YOU OR ANY OTHER PERSON, AND REGARDLESS OF ANY NEGLIGENCE OR OTHER FAULT OR WRONGDOING BY THERON CONSULTANTS PVT LTD OR ANY AFFILIATE OR PROVIDER OR ANY PERSON FOR WHOM THERON CONSULTANTS PVT LTD OR AN AFFILIATE OR PROVIDER MAY BE RESPONSIBLE, AND NOTWITHSTANDING THAT THERON CONSULTANTS PVT LTD OR ANY AFFILIATE OR PROVIDER MAY HAVE BEEN ADVISED OF THE POSSIBILITY OF SUCH LOSS OR DAMAGES BEING INCURRED BY YOU OR ANY OTHER PERSON. WITHOUT LIMITING THE FOREGOING, IN NO EVENT WILL THERON CONSULTANTS PVT LTD OR ANY OF THE AFFILIATES AND PROVIDERS' TOTAL LIABILITY TO YOU OR ANY OTHER PERSON FOR ANY CLAIMS, PROCEEDINGS, LIABILITIES, OBLIGATIONS, DAMAGES, LOSSES, AND COSTS, WHETHER IN CONTRACT, TORT, NEGLIGENCE, STRICT LIABILITY, OR UNDER ANY OTHER THEORY OF LAW OR EQUITY, AND REGARDLESS OF ANY NEGLIGENCE OR OTHER FAULT OR WRONGDOING BY THERON CONSULTANTS PVT LTD OR ANY AFFILIATE OR PROVIDER OR ANY PERSON FOR WHOM THERON CONSULTANTS PVT LTD OR ANY AFFILIATE OR PROVIDER IS RESPONSIBLE, EXCEED Indian Rs 1,000/- OR THE AMOUNT YOU PAID TO THERON CONSULTANTS PVT LTD FOR THE USE OF THE WEB SITE, WHICHEVER IS LESS. YOU HEREBY RELEASE, REMISE AND FOREVER DISCHARGE EACH OF THERON CONSULTANTS PVT LTD AND THE AFFILIATES AND PROVIDERS AND ALL OF THEIR RESPECTIVE FRANCHISEES, PARTNERS, AGENTS, DIRECTORS, OFFICERS, EMPLOYEES, INFORMATION PROVIDERS, SERVICE PROVIDERS, SUPPLIERS, SUBCONTRACTORS, LICENSORS AND LICENSEES, AND ALL OTHER RELATED, ASSOCIATED, OR CONNECTED PERSONS FROM ANY AND ALL MANNER OF RIGHTS, CLAIMS, COMPLAINTS, DEMANDS, CAUSES OF ACTION, PROCEEDINGS, LIABILITIES, OBLIGATIONS, LEGAL FEES, COSTS, AND DISBURSEMENTS OF ANY NATURE AND KIND WHATSOEVER AND HOWSOEVER ARISING, WHETHER KNOWN OR UNKNOWN, WHICH NOW OR HEREAFTER EXIST, WHICH ARISE FROM, RELATE TO, OR ARE CONNECTED WITH YOUR USE OF THE WEB SITE. YOU AGREE TO INDEMNIFY, DEFEND AND HOLD HARMLESS EACH OF THERON CONSULTANTS PVT LTD AND THE AFFILIATES AND PROVIDERS AND ALL OF THEIR RESPECTIVE FRANCHISEES, PARTNERS, AGENTS, DIRECTORS, OFFICERS, EMPLOYEES, INFORMATION PROVIDERS, SERVICE PROVIDERS, SUPPLIERS, SUBCONTRACTORS, LICENSORS AND LICENSEES, AND ALL OTHER RELATED, ASSOCIATED, OR CONNECTED PERSONS (COLLECTIVELY, THE "INDEMNIFIED PARTIES") HARMLESS FROM AND AGAINST ANY AND ALL LIABILITIES, EXPENSES AND COSTS, INCLUDING WITHOUT LIMITATION REASONABLE LEGAL FEES AND EXPENSES, INCURRED BY THE INDEMNIFIED PARTIES IN CONNECTION WITH ANY CLAIM OR DEMAND ARISING OUT OF, RELATED TO, OR CONNECTED WITH YOUR USE OF THE WEB SITE OR YOUR BREACH OF THIS AGREEMENT. YOU WILL ASSIST AND COOPERATE AS FULLY AS REASONABLY REQUIRED BY THE INDEMNIFIED PARTIES IN THE DEFENSE OF ANY CLAIM OR DEMAND. 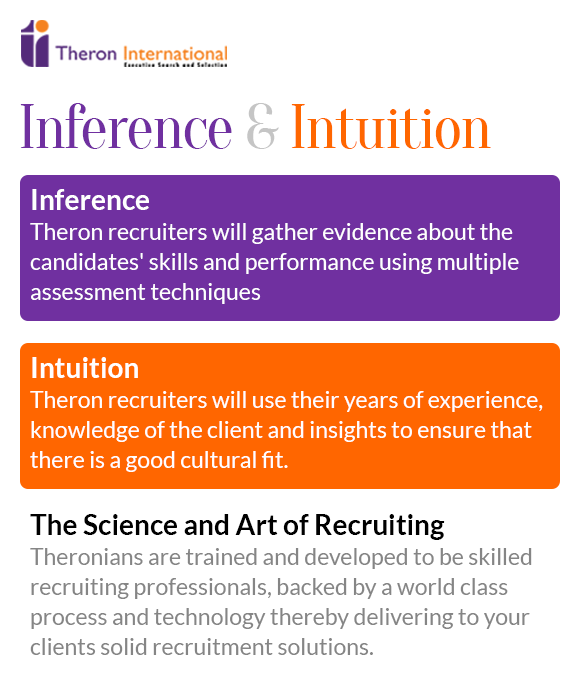 ADVICE AND INFORMATION PROVIDED BY THERON CONSULTANTS PVT LTD OR THE AFFILIATES AND PROVIDERS OR THEIR RESPECTIVE REPRESENTATIVES, WHETHER ORAL OR WRITTEN, WILL NOT CREATE ANY REPRESENTATION, WARRANTY OR CONDITION OR VARY OR AMEND THIS AGREEMENT, INCLUDING THE ABOVE DISCLAIMER, LIABILITY EXCLUSION, LIABILITY LIMITATION, RELEASE AND INDEMNITY PROVISIONS, AND YOU MAY NOT RELY UPON ANY SUCH ADVICE OR INFORMATION. The Web Site and all information (in text, graphical, video and audio forms), images, icons, software, designs, applications, calculators, models, data, and other elements available on or through the Web Site are the property of Theron Consultants Pvt Ltd, Affiliates and Providers and others, and are protected by copyright, trademark, and other laws. Your use of the Web Site does not transfer to you any ownership or other rights in the Web Site or its content. The Web Site may only be used in the manner described expressly in this Agreement. In particular, except as expressly stated otherwise in this Agreement, the Web Site may not be copied, imitated, reproduced, republished, uploaded, posted, transmitted, modified, indexed, catalogued, mirrored or distributed in any way, in whole or in part, without the express prior written consent of Theron Consultants Pvt Ltd.
THERON CONSULTANTS PVT LTD, Logo, and other marks and logos appearing on the Web Site are registered and unregistered trademarks, trade names and service marks owned or licensed by Theron Consultants Pvt Ltd. Other product and company names and logos appearing on the Web Site may be registered or unregistered trade names, trademarks and service marks of their respective owners. Any use of the trade names, trademarks, service marks and logos (collectively "Marks") displayed on the Web Site is strictly prohibited. Nothing appearing on the Web Site or elsewhere shall be construed as granting, by implication, estoppel, or otherwise, any license or right to use any Marks displayed on the Web Site. Links to the Web Site without the express written permission of Theron Consultants Pvt Ltd are strictly prohibited. The framing, mirroring, scraping or data mining of the Web Site or any of its content in any form and by any method are strictly prohibited. The Web Site is controlled by Theron Consultants Pvt Ltd. This Agreement, your use of the Web Site, and all related matters are governed solely by the laws of India. Any controversy or claim arising out of or relating to this Agreement, or the breach thereof, shall be settled by arbitration, The place of arbitration will be Bangalore, Karnataka , India. Notwithstanding the foregoing, you or Theron Consultants Pvt Ltd may seek injunctive relief from an appropriate court located in Bangalore prior to or during the arbitration. Notwithstanding anything herein to the contrary, the following provisions of this Agreement, and all other provisions necessary for their interpretation or enforcement, will survive indefinitely after the termination of this Agreement and remain in full force and effect and be binding upon the parties as applicable: 8 (Disclaimer, Liability Exclusion, Liability Limitation, Release, and Indemnity); 9 (Ownership and Permitted Uses of the Web Site); 11 (Personal Information Privacy); 12 (Other Sites); 14 (Termination); 15 (Governing Law and Dispute Resolution); and 16 (Other Matters). The provisions of this Agreement will inure to the benefit of and be binding upon each of Theron Consultants Pvt Ltd and Affiliates and Providers and each of their respective successors and assigns and related persons, and you and your heirs, executors, administrators, successors, and personal representatives, and all persons you represent and their respective successors, assigns and related persons. You and the persons you represent may not assign this Agreement or the rights and obligations under this Agreement without the express prior written consent of Theron Consultants Pvt Ltd, which may be withheld in Theron Consultants Pvt Ltd's discretion. Theron Consultants Pvt Ltd may assign this Agreement and its rights and obligations under this Agreement without your consent or the consent of any persons you represent. You and any persons you represent (on the one hand) and Theron Consultants Pvt Ltd and Affiliates and Providers (on the other hand) are independent contractors and no agency, partnership, joint venture, employment or franchise relationship is intended or created by this Agreement or your use of the Web Site. Any rights not expressly granted by this Agreement are reserved to Theron Consultants Pvt Ltd.